Using some of the most famous symbols and attractions in the Garden State, this chunky board book helps young readers learn to count to 10. The Camden Aquarium, the George Washington Bridge, diners, the famous beaches of the Jersey Shore, and many more are all depicted in bright colors and detailed design. 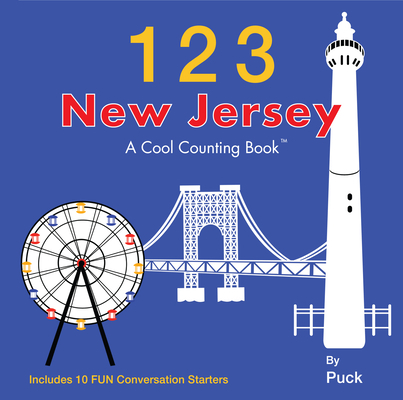 123 New Jersey also includes a location page where parents can find all the symbols and landmarks in the book as well as a list of conversation starters that will help parents begin a lively talk with their kids about the Garden State.